The CEA is the French Alternative Energies and Atomic Energy Commission (Commissariat à l’énergie atomique et aux énergies alternatives). A leader in research, development and innovation, the CEA mission statement has two main objectives: to become the leading technological research organization in Europe and to ensure that the nuclear deterrent remains effective in the future. With its 16000 employees, CEA is active in four main areas: low-carbon energies, defense and security, information technologies and health technologies. Key figures include about 150 start-ups since 1984 in the innovative technologies sector, a 4,3 billion euros yearly budget and more than 530 European projects obtained with CEA participation under the European FP7 since 2007. 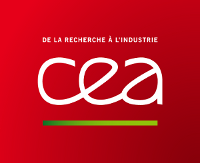 In this project, CEA will participate through the LIST institute, located at the heart of Saclay area (Paris region, France). Design and installation of utility infrastructure public, including electricity, gas and water: UPL has advanced skills, which are used to help customer understand their likely utility consumption patterns and design infrastructure that is appropriate to those needs. This avoids over-specifying each projects and avoids unnecessary costs and time delays, which otherwise are a common occurrence in the industry. Smart Metering: UPL are an accredited installer and smart operator of electricity, gas and water meters. This means that UPL have the systems and processes to manage all aspects of the operation and achieve high standards in the quality and reliability of the data collected form the devices. UPL has smart meters in 11 counties across Europe (UK, Ireland, France, Italy, Spain, Denmark, Belgium, Poland, Bulgaria, Germany and Greece) and provides advanced web-based systems for sophisticated analysis and easy access for users of the data. Energy Management: UPL have a team of specialist energy analysts and project managers who use specialist and advanced instruments to gather data on energy and water consumption, understand the drivers, asset performance, building performance and operational performance. The data is used to benchmark each of the categories and this becomes the start point for the delivery of an integrated energy management program. R2M Solution s.r.l. is an integrated and multi-disciplinary entrepreneurial innovation company that aggressively targets filling the gap between research activities and market implementation across the fields of Innovation, Engineering, Energy, and ICT/Automation. R2M is a strategic innovator itself and as part of its business model helps organisations and projects plan and execute the strategic use research funding carried out over a comprehensive development strategy from idea to market. In doing so, R2M provides leadership, links high performance exploitation oriented networks, and leverages national, European, and international incentives and support programs. R2M has ownership and expertise of patented web-semantic data mining software, has partner agreements with software and technology providers in the field of sustainability, and is the sustainability and innovation consultant for several start-ups, commercial centres, and other corporate profiles. R2M is expert on IPMVP, conducts LEED certification, and provides training that results in Certified Energy Manager qualified personnel. 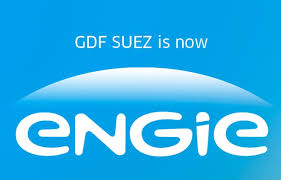 ENGIE (formerly GDF Suez) was set up in 1946 out of the desire to have a national electrical utility that could help rebuild the country after the Second World War. GDF SUEZ was formed in 2008 by the merger of GDF and SUEZ companies to make the one of the world biggest utility, involved, in power, gas, water and waste treatment. Today, the company has 30 million customers in France, sales revenue of more than 90.7 billion Euros together with more than 16 million customers abroad through its international equity interests, make GDF SUEZ is one of the world’s leading power utilities. Since its creation, GDF SUEZ has had the responsibility for generating, transmitting and distributing gas in France. Today, GDF SUEZ boasts a generation mix which allows the company to diversify its service offer and further its international development. The R&D Division is mobilised to implement new ideas to improve the performance of the gas and electricity, to develop energy applications for the benefit of the company’s customers and prepare the facilities for the future. Equally open to external expertise and resources, the R&D Division relies on other research organisations, both in France and abroad, and on industrial co-operation. The objective of the R&D actions is to obtain rational use of gas and electrical energy based on a global approach including and anticipating regulatory, normative and environmental aspects but also based on on going optimisation of energy systems. Optimised combination of the various energy supply sources (distribution network (smart grid), distributed generation, renewable energy) together with a thorough knowledge of uses and their evolution are one of the main topics currently investigated in order to offer solutions that will answer the expectations of customers in all the various sectors. Airbus Cybersecurity & Defense (formerly Cassidian CyberSecurity (CCS) is a subsidiary from CASSIDIAN which is the defence and security division from EADS group. 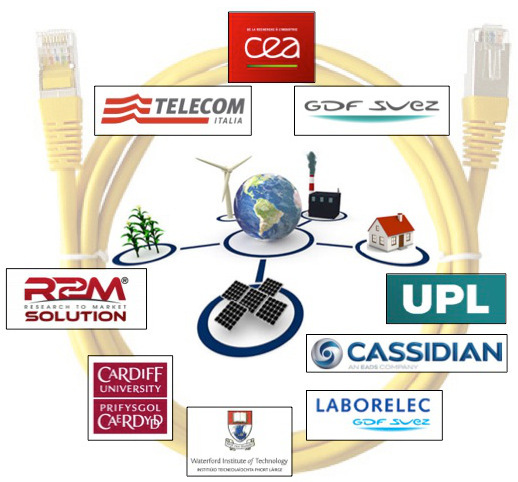 CCS has developed a global portfolio of cyber security solutions, with the aim of being acknowledged by customers in all areas (government, defence, business and critical infrastructures) as the European leader in this field on the basis of its recognized experience in assessment, consulting, products and services. Cassidian CyberSecurity is thus positioning itself as the European alternative to the major US companies in this domain. The Telecom Italia Group is a major Italian enterprise and a key European strategic ICT layer. Driven by technological innovation and a commitment to service excellence, Group companies operate in fixed-line and mobile telecommunications, Internet & Media, Information Technologies. Most R&D activities of the Group are performed inside the Innovation and R&D Departments of Telecom Italia: the evolution of mobile communication,; the diffusion of broadband bandwidth; the dissemination of identification and localization systems embedding tagging technologies within telecommunication functionality. The company is developing a wide range of activities on energy efficiency issues, in a framework aimed at improving its overall environmental performance. 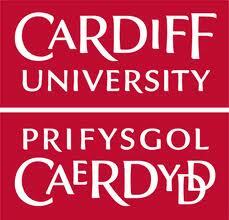 Cardiff University (CU) is one of the ten largest universities in the UK and a member of the Russell Group of research-intensive universities. Interdisciplinary collaboration between centres of excellence at the University, which are directly relevant to the present proposal as set out below, facilitates agenda-setting research, spanning from fundamental through to applied and practice-based research. 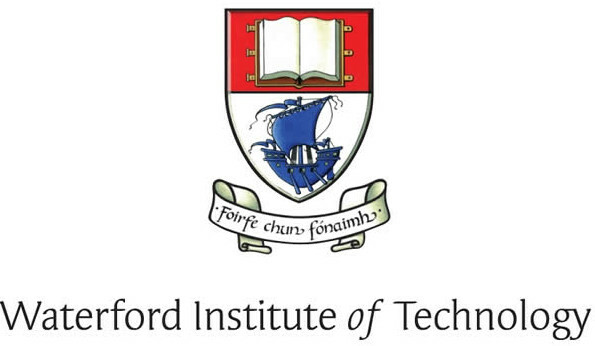 The Telecommunications Software & Systems Group (TSSG), based at Waterford Institute of Technology, was founded in 1996. Since then, it has grown into a large research centre (over 35 active projects, 117n active staff and students. TSSG research activity covers a basic research programme (4 faculty, 7 postdocs, 15 students), an applied research programme (3 postdoc/managers, 30 researchers/developers), and an innovation and commercialisation strategy (6 managers/postdocs, 40 researchers/developers); it also has a small TSSG support division (2 managers, 6 staff). This makes the TSSG unique in the Irish research landscape, as it has a very high level trans-disciplinary view of the communications services space, linking the science of the key basic research questions with the engineering expertise to create innovative prototype solutions in collaboration with mainly European partners, and combining all this with the entrepreneurial business vision to exploit a range of commercial opportunities that result. TSSG’s expertise ranges from network management, energy, pervasive communications, security and privacy management, context and social network analysis, and mobile application development. Laborelec performs contract research and technical expertise services in electrical power and new energy technology. We improve the business of our shareholders and our external customers on the international market. Through our contract research, we improve the operational excellence of existing electrical power assets, electrical networks , we prepare our customers for their future challenges, we develop new solutions for energy end-users needs, and we anticipate and explore the potential and risk of emerging energy technologies. Through our technical expertise and consulting services, we create value for our customers from cost savings, failure prevention, risk reduction, efficiency improvement, availability improvement, safety improvement and environmental footprint reduction of energy installations. We develop and maintain excellent expert competences covering the entire electrical power value chain, including generation (nuclear, fossil-fired and renewable), storage, transmission & distribution and end-use. We combine expert knowledge with state-of-the-art measurement and analysis capability, with practical experience acquired from technical assistance to plant or network operators. We implement a creative, solution-oriented and open innovation approach, with strong international partners. In all cases, we seek valuable long-term relationships with our customers, based on sound market principles and an open-minded partnership approach. We also guarantee the professional quality and objectivity of our results and recommendations. With our research and our expertise services, we work actively and passionately towards a more sustainable (i.e. a more reliable, cost-effective and environmentally friendly) energy supply.